I am so excited about my newest product: Personalized Mini Candy Bar Labels! I just received the shipment of labels today and I couldn't wait to get some printed and listed! Customers will be able to choose from ANY of my current sticker designs and I will match the labels to them. There are 30 labels in a set and they can be customized however you like. I think this is such a fun idea for parties, trick-or-treating, little snacks for your kids lunch boxes... I could go on and on and on (I promise I won't). Anyway, tell me what you think of the new item... will it sell? 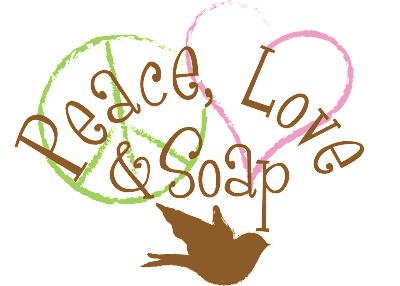 I am working like crazy to get my website stocked before the holidays get here. Here are a few of my latest designs. I just finished a logo that I am so excited about! 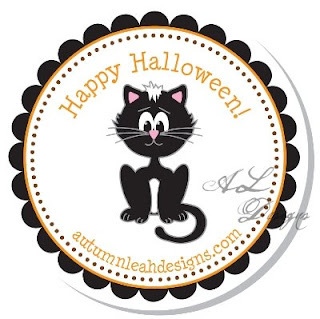 Lindy's Cookie Studio came to me for some help and I had such a blast creating a fun new logo for her. She wanted something that fit the whole "art studio" idea... what do you think? 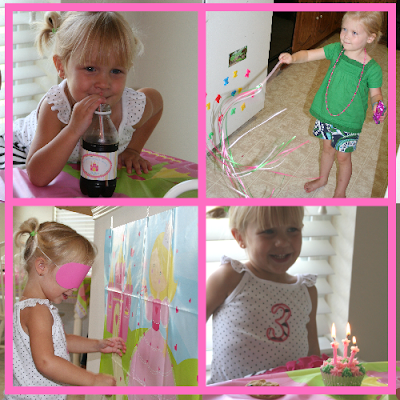 My little girl turned three last week and we had a fun party on Saturday to help celebrate. We made "wands" using painted wooden dowels and ribbon. The girls had a blast making them and playing princess all afternoon. I decided to just make cupcakes because I had already made her a cake earlier in the week and because she didn't care either way. I was so excited to find cans of colored icing at Walmart that had different tips attached... so perfectly easy! I have to say that the cupcakes were by far the cutest ones I have made! The icing made it look like I knew what I was doing (I know, I'm an amateur). We played "pin the crown on the princess" did other regular party stuff. Of course, I had bottled drinks (DP, Orange Soda, Water) with custom labels on them to match her party supplies. Each girl also went home with "This book belongs to:" princess stickers (personalized with their names of course), a pink crown sucker, "fancy" jewelry and a couple other sweet treats. It was a lot of fun and she had a blast! The best part is seeing how much she enjoyed being the center of it all... that is where she thinks she belongs all the time! Wow, this has been a crazy week! I have been working on several logos (yay!) and I am still trying to get my website completely ready to go before the holidays. Add to that sick kids, sick me, messy house, birthday party today, husband leaving for camp tomorrow, positive pregnancy test, tons of orders and you have yourself a nutty week! Yes, I said POSITIVE PREGNANCY TEST... yikes!! I have a six month old so this was a bit of a shock (understatement of the year...) but we are excited about it anyway:) I guess I will just be done having kids a couple years early! I told my husband that he will be coming to the hospital with me to have a procedure done himself... I am SO not joking! Ok yes I am, but it won't be long so he better watch out. 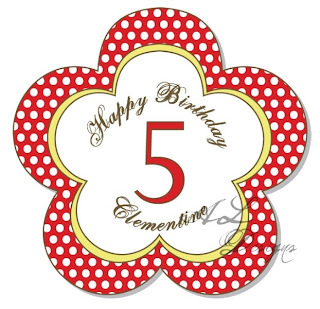 Well, I am off to throw a party for my 3 year old and I will post pics after. Wow, I have to say that my most recent logo/business package design has been the most detailed so far. Daisy Day Brands wanted some realistic looking girls designed for their logo and I thought "sure, why not??!!". Thankfully I was working with the most patient clients ever and I think I came up with something we are both proud of. Their website is Daisy Day Brands and will soon have a new template and logo! I know I have been missing for a long while and I wish I had an excuse... but I don't... I am a lazy blogger. Yep, I will admit that I want to like "blogging" but I don't. I promise to try harder! Anyway, I am excited to finally have my new site up and running. I have been spending a lot of time adding new designs and am very happy with how it has turned out. Unfortunately I can not take all the credit for the design... 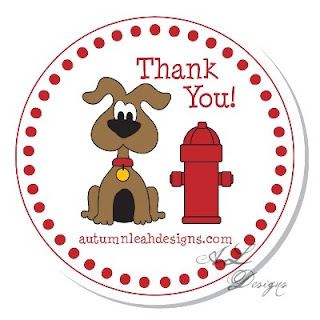 I have to thank Michelle from Polka Dot Dandy for helping me with it all! I am horrible with html and all that technical stuff and I would not have been able to do it without her. Ok, this is the extent of my writing attention span so I am going to leave you with some fun new designs in my shop. Enjoy and be sure to stop by daily!